At home, our world and the world of our children is filled with a bombardment of noise from all different types of media. While the world continues to find new ways for us to electronically connect, we find these outlets to often isolate our children, increase anxiety and overload their senses. At Poyntelle, we have decided to fight this battle in very specific ways to help protect the mental well being of our campers. It is our belief that overall wellness does not stop with the body. We have created a Mindfulness Program that offers everyone in our camp community the ability to reset and re-balance their thoughts so they can be at their best each and every day. Included in this unique program is a daily 3-4 minute meditation exercise that focuses on positive thoughts, energy and happy memories! It ends with a discussion on Camp Kindness and giving back to the environment. In the afternoon, we add multiple Mindfulness related electives such as dog walking, playing fetch, small group nature hikes, fishing, worry stones, book club and much more! 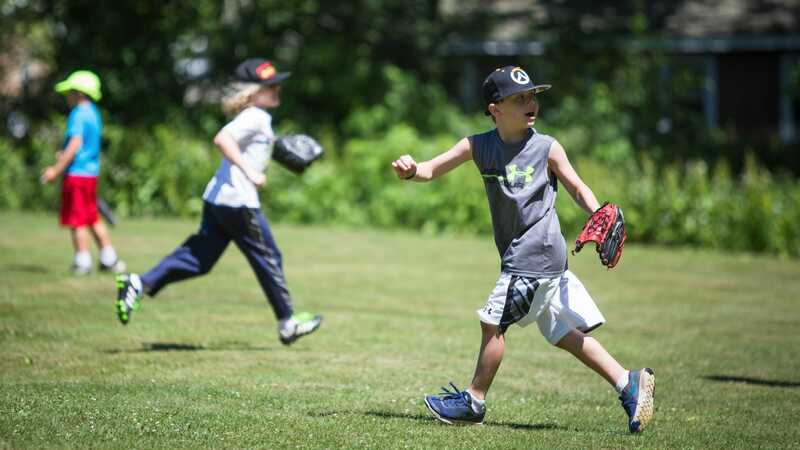 These special activities allow our campers the chance to reduce the noise, quiet their mind and relax. 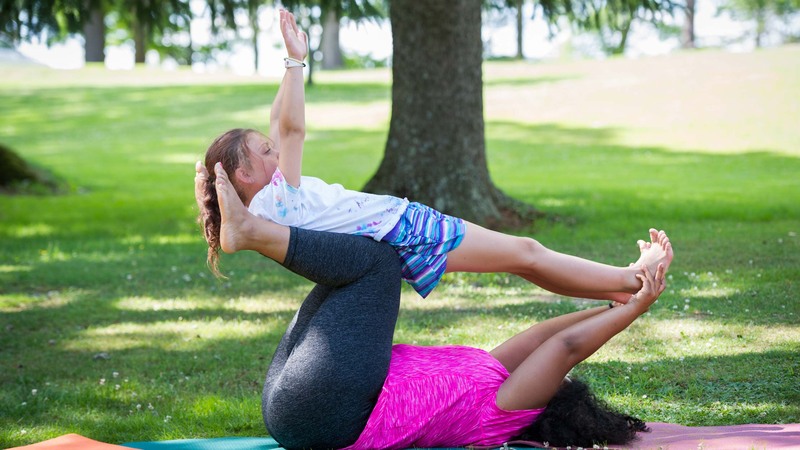 Another great way for our campers to center themselves is to practice yoga. 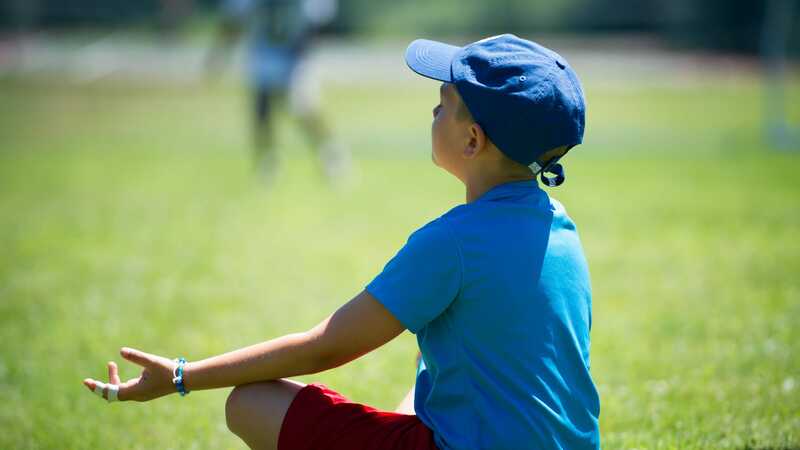 This activity pairs nicely with our focus and attention on overall Mindfulness as it encourages our campers and staff to slow their day down, quiet their mind and focus their attention on themselves. To further help us clear the minds of our campers and have them focus on making memories and building friendships, we do not allow most electronic devices to camp. This includes iTouches, cell phones and tablets of any kind or gaming units. Any device that has the ability to play video, access the internet, cell service or has games are not permitted. While many children prefer music at night or when on the bus, parents must provide an alternative to iTouches or any other type of similar device. We are committed to the immersive and healthy experience that sleepaway camp provides, therefore, there are no exceptions to this policy.